How Are Maps Used in Science? What Is Living in the Soil? 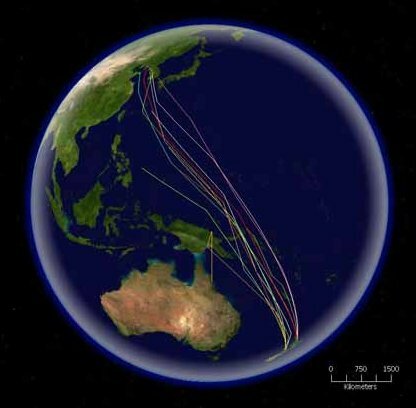 Figure 6.67: An epic journey – the migratory route of the Bar-tailed Godwit entails a 6300 mile non-stop flight from New Zealand to their summer breeding grounds. A number of physical parameters influence bird navigation. Many birds have been shown to use a sun compass. Using the sun for direction involves the need for making compensation based on the time. Navigation has also been shown to be based on a combination of other abilities including the ability to detect magnetic fields, to use visual landmarks, and to use olfactory cues. For more, refer to the article Bird navigation: what type of information does the magnetite-based receptor provide from The Proceedings of the Royal Society. Long distance migrants are believed to disperse as young birds and form attachments to potential breeding sites and to favorite wintering sites. Once the site attachment is made they show high site-fidelity, visiting the same wintering sites year after year. Migratory Bird Center from the Smithsonian. Numerous Bird Migration pages from CloseToNature.com. Educational Resources on Bird Migration from Wild Birds Unlimited. Bird Migration from Paul and Bernice Noll’s Window on the World. Waterfowl Migration Map from Ducks Unlimited. Migration Reports from HawkWatch International. HawkWatch International Raptor Migration Sites. The MSP project is funded by an ESEA, Title II Part B Mathematics and Science Partnership Grant through the Montana Office of Public Instruction. MSP was developed by the Clark Fork Watershed Education Program and faculty from Montana Tech of The University of Montana and Montana State University, with support from other Montana University System Faculty. admin on What Are Maps? A Teacher on What Are Maps? A Teacher on What is the Montana Science Partnership?